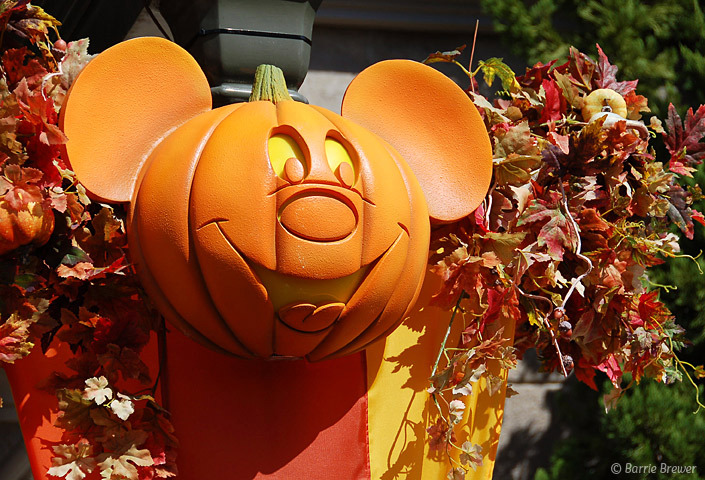 October is a fantastic month to go to Walt Disney World! 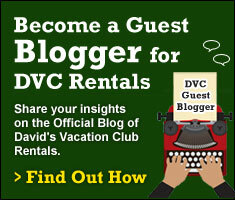 Here are some tips and tidbits for those of you visiting this next month. October in Orlando treats us to some of the most pleasant weather of the year. You will experience average temperatures with highs in the mid 80s and lows in the mid 60s. While it is still warm, the humidity drops considerably in October. It’s a good idea to dress in layers and be sure to have a sweater or light jacket for the cool evenings. It doesn’t hurt to carry a poncho either, even though there will likely be a big drop in precipitation. The average precipitation drops to 3.17 inches (from 6.01 in September and 7.32 in August). Although the hurricane season runs through November 30, the period for peak hurricane activity ends on October 15. With the kids back in school, there will be fewer people in the parks overall, but there are some things to keep in mind that will affect the crowd levels. The biggest jump in crowd levels will be noticeable at Epcot due to the Epcot International Food & Wine Festival, running all month. If you don’t like crowds, particularly crowds who have been enjoying their wine, I’d steer clear of Epcot on the weekends. The best time to enjoy Food & Wine without the crowds is during the week, early in the day. As the day wears on, not only do the crowds increase, they get a bit… happier. Epcot may also see a little jump in attendance on 10/1 when it celebrates its 30th birthday with some special activities. The Tower of Terror 10-Miler Weekend is 9/28-30 and some people attending are likely to stay into next week. You may also see a jump in crowds at the parks due to people taking a long weekend for the Columbus Day holiday. A good resource for knowing which park is likely to be the least crowded on a particular day is Touring Plans. Mickey’s Not So Scary Halloween Party is scheduled for 15 nights in October: October 4, 5, 8, 11, 12, 14, 16, 18, 21, 23, 25, 26, 28, 30 and 31. I highly recommend going to the party – it’s great fun! If you do plan to attend, be sure to read Tips for Making the Most of Mickey’s Not-So-Scary Halloween Party before going. That said, I would avoid going to the Magic Kingdom on the days when there are parties scheduled, for a couple of reasons. First, the park will close early, at 7pm, on party nights. If you don’t have a party ticket you will have to leave. Second, usually the park starts to get less crowded after about 4pm, but not on party nights. Even though the party doesn’t start until 7pm, guests begin arriving at 4pm. It’s better to go to one of the other parks on party nights. October 1 is Epcot’s 30th Anniversary and Disney is marking the occasion with some special events. The following special presentations will be occurring in World Showplace (a special events building located behind the Canada and United Kingdom pavilions). They are included in your park admission but the seating is limited. 1-2 pm – Designing the Future – Past and Present: A panel of Disney Imagineers remembers 30 years of building tomorrow! At 3pm, an anniversary “moment” at the America Gardens Theatre will feature appearances by Disney leaders and include performances by Mariachi Cobre and Voices of Liberty, also with limited seating. That evening, “IllumiNations: Reflections of Earth” will feature a special 30th anniversary tag. That alone would be enough to get me to go to Epcot on October 1! On October 12 and 13 the Swan and Dolphin Resort is hosting its Third Annual Food & Wine Classic. I have not attended this event myself but I have friends who have attended and they raved about it. Food and beverage sampling booths are set up on the causeway between the two resorts from 5:30-9pm. There is an impressive list of seminars as well as live entertainment nightly. Check out their website for the details. You do not have to be staying at the resort in order to experience the fun. Here is a list of the closures that you may encounter in the parks when visiting in October. 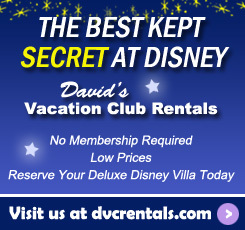 The AllEars website has a comprehensive listing of closures and rehabs at Walt Disney World. Rather than reinvent the wheel, I’ll direct you there for detailed information. The Country Bear Jamboree will be closed through October 16. Pirates of the Caribbean will be closed for one day on October 9. The Magic Carpets of Aladdin will be closed October 18 – 25. The Magic, Memories and You castle projection show ended in September. A new projection show will be opening in November. Honey, I Shrunk the Kids Movie Set Adventure will be closed October 8 – 31. Studio Backlot Tour and the American Film Institute Showcase will be closed October 8 – November 16. Test Track is currently closed and is expected to reopen sometime this fall – no exact dates have been released. Typhoon Lagoon will close on October 28 for its annual refurbishment, reopening on January 5, 2013. That’s it for my October preview. I hope you found this information helpful. I plan to do this each month, so if you think of other information that would be useful to include please leave me a note in the comments. If you’ll be visiting Walt Disney World in October – lucky you! Have a wonderful time.